Well, that was unexpected… WTF Google +? So, I do not use Google+, in fact, I thought I had deleted it when I was given one after needing to sign up with my email address in order to continue using this blog. 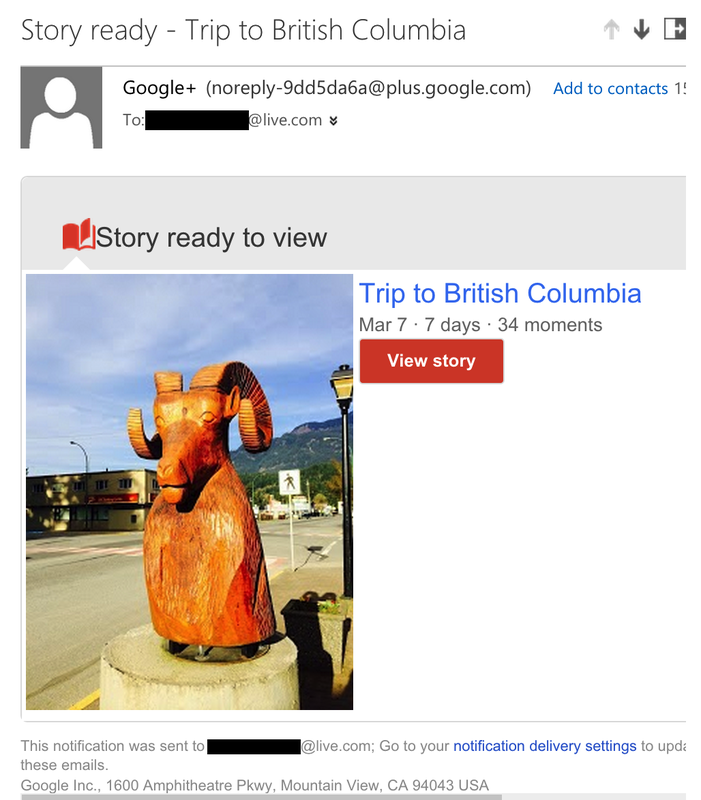 I just got this email, clicked the link and it basically added photos from my trip, along with locations. Some of the pictures that were in this “story” where not even uploaded to blogger. They’re on my phone, and that’s it. Now I need to figure out how they did this as I don’t even have this specific email address (I have multiple email addresses because I like separation of lives) connected to my phone. I deleted the story, and now to research. If I want to publish a story with my pics, I’ll do it myself thank you very much. That’s why I have a blog. I really despise that Google keeps trying to force their crappy social network down our throats.